We provide you with everything you need to learn and enjoy this remarkable sport. Everybody is welcome. Our services cover every need, regardless of age, gender or previous experience in polo. For details contact John or Clara. 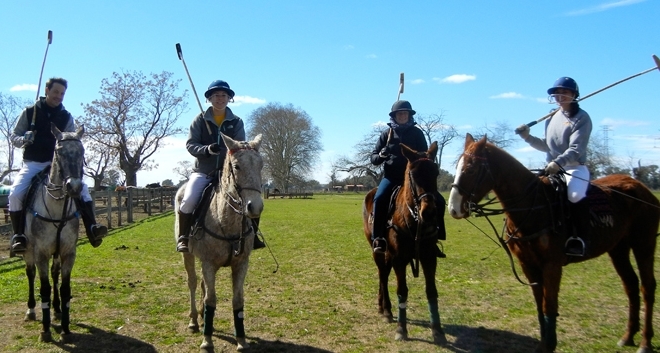 - Learn to hit the ball and other skills to play (on horseback). - Play a polo match. - Rules of the game. - Watch a polo match. - Transport from the hotel to the farmand back (60 km). - Horse (according to your level). - Equipment (helmet, mallet, whip). 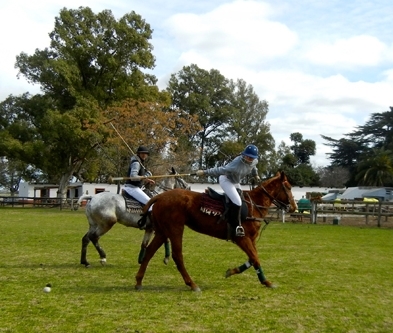 - Option 2 - Polo Day: Polo Lesson + Lunch u$s160 per person (Full Day,6hs Activity). - Lunch (Argentinian barbecue - Vegetarian option as well). - Transport from your hotel to the farm and back (60 km). 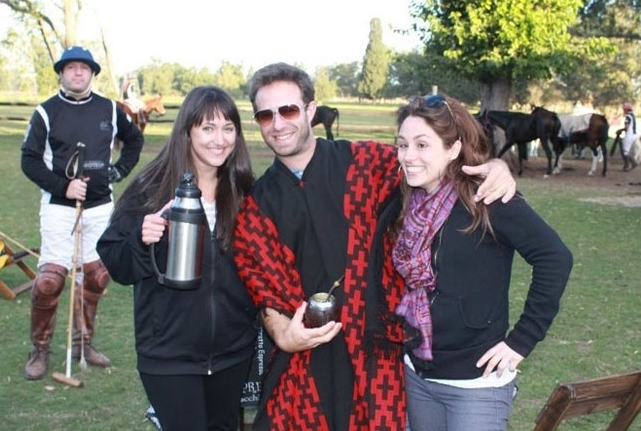 - Option 3 – Vegetarian BBQ + Polo Lesson: u$s130 per person. - Option 4 - Watch a professional Polo Match: u$s80 per person. Polo matches are free depending on the tournament. - Rules of the game (English/Spanish). - Option 5: Horse Riding around the Fields: u$s50 dollar per person (45 min. Activity). - Non-Players: u$s20 dollar per person. - Non-Players with Lunch: u$s50 dollar per person. All services include transportation from the hotel to the fields and back. You don´t need prior knowledge in the sport. The service does not include:Boots. Our advice: Wear confortable shoes. 2 people are the minimum amount of participants required for the polo lesson& Day. (Ask for private lessons) If you are traveling alone you could join other people. Polo is cancelled if it rains.